Known for its rich German history, the Gruene Historic District has grown into a quaint tourist destination over the years where guests can enjoy premium foods, distinct shopping, some of Texas’ finest festivals, and live music from Texas’ oldest dance hall. 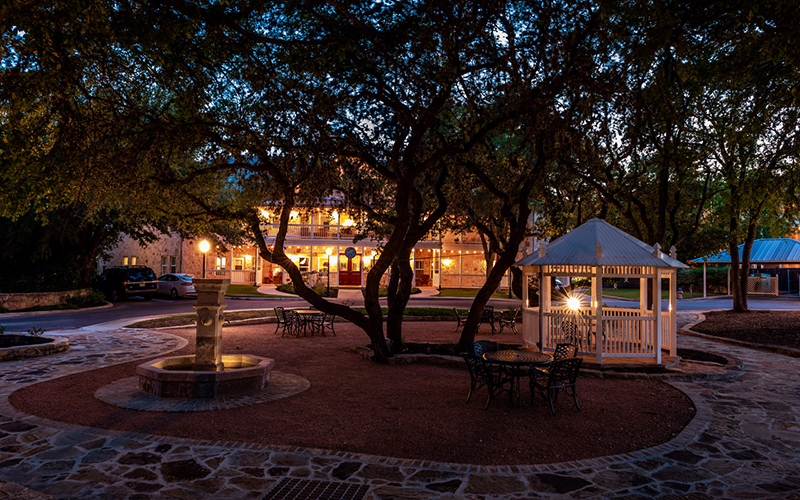 This Texas Hill Country hotel offers 17 unique bedrooms of all different themes with their own distinctive names. 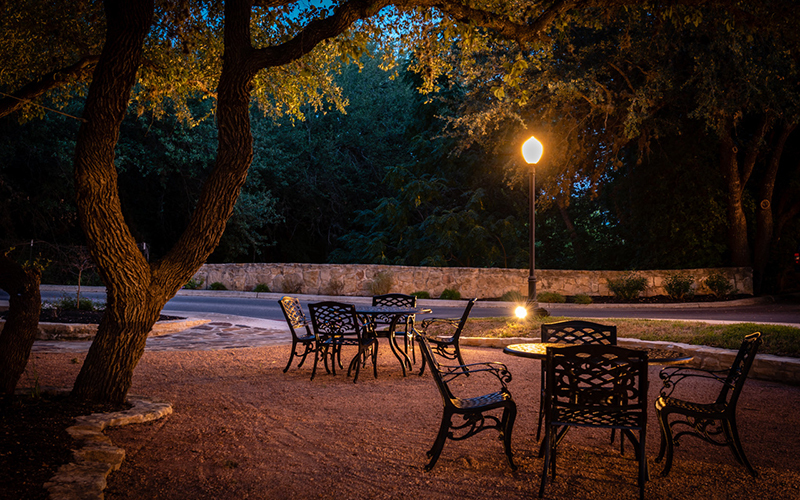 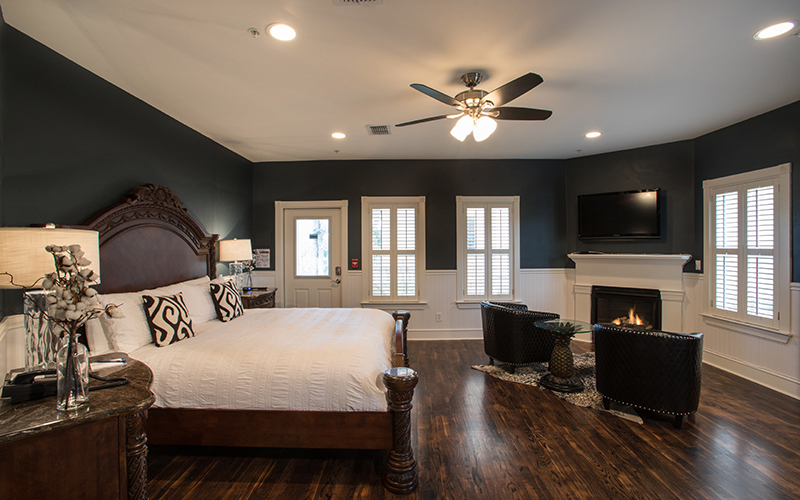 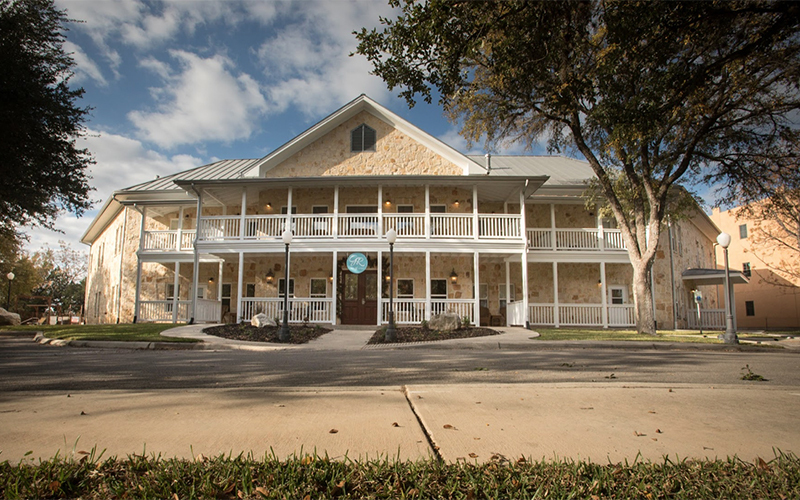 Located in Gruene's Historic District and sitting on the banks of the Guadalupe River, Gruene River Hotel & Retreat is a 17-room boutique hotel offering a complimentary gourmet breakfast served buffet-style every morning and complimentary wine and snacks each evening. 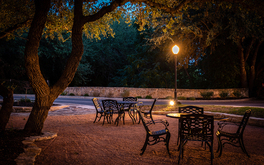 Known for its rich German history, the Gruene Historic District has grown into a quaint tourist destination over the years where guests can enjoy premium foods, distinct shopping, some of Texas’ finest festivals, and live music from Texas’ oldest dance hall. 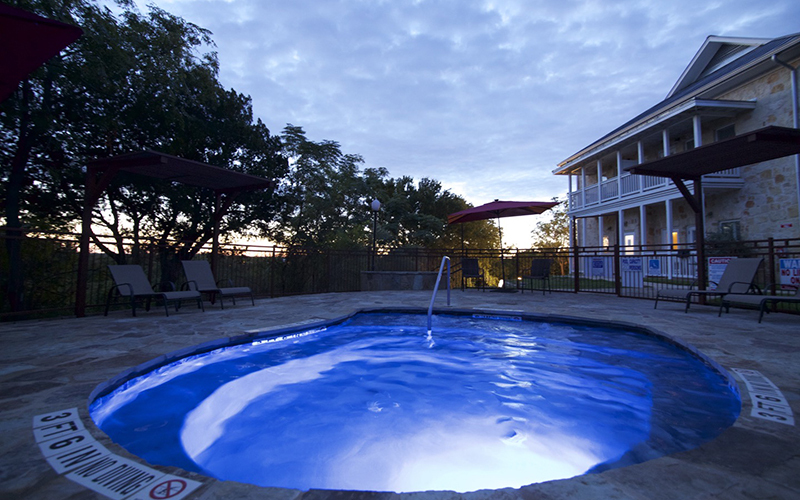 The Texas Hill Country hotel offers 17 unique bedrooms of all different themes with their own distinctive names. 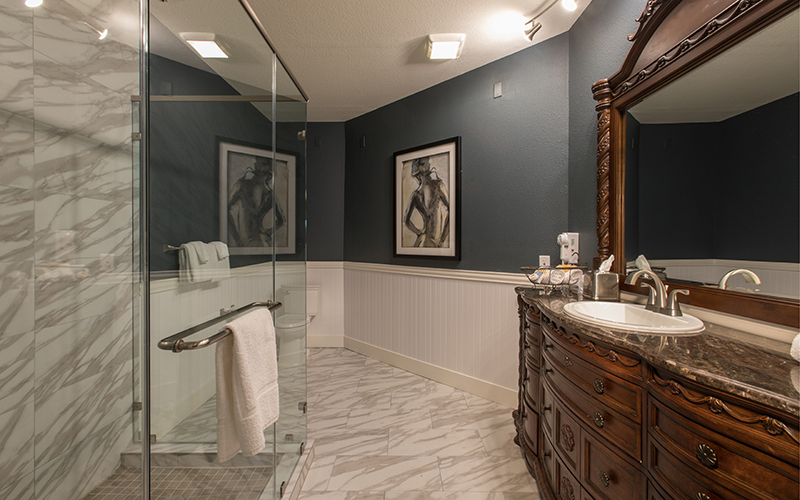 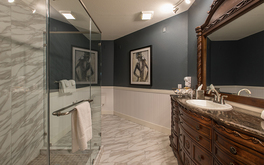 Each room was carefully designed with the guest in mind. The lower level of the hotel features a conference area for corporate meetings, and a game-room complete with a pool table, shuffleboard table, an old-school Pacman arcade game, and a large screen t.v. 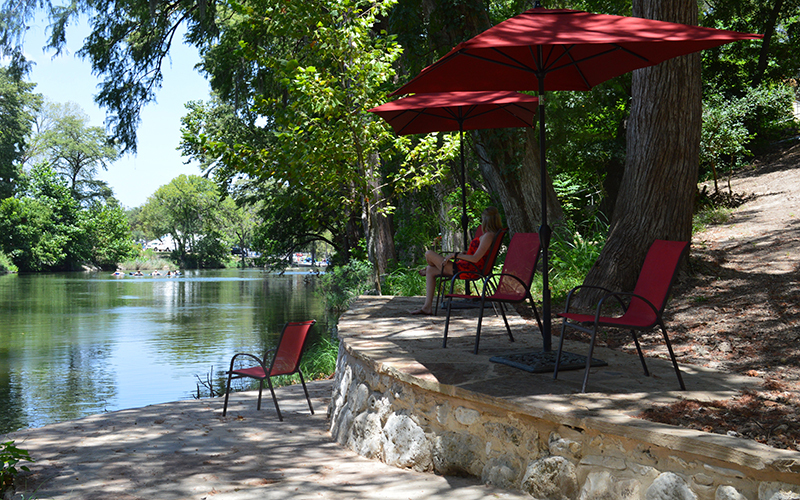 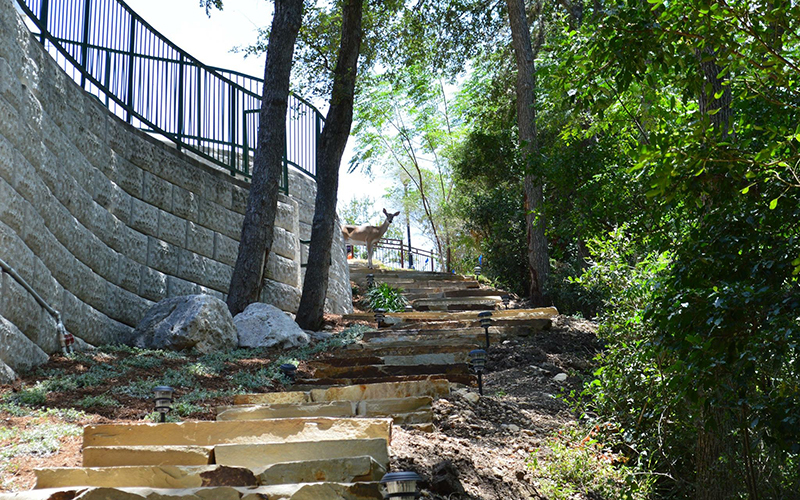 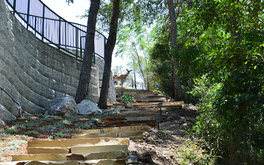 The nature trail out back will take you straight down to the Guadalupe River where guests can enjoy riverside patios with seating. 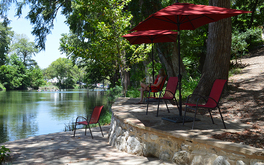 The river is a popular destination for swimming, fishing, kayaking, rafting and tubing. Gruene River Hotel & Retreat is a 21 and over hotel.